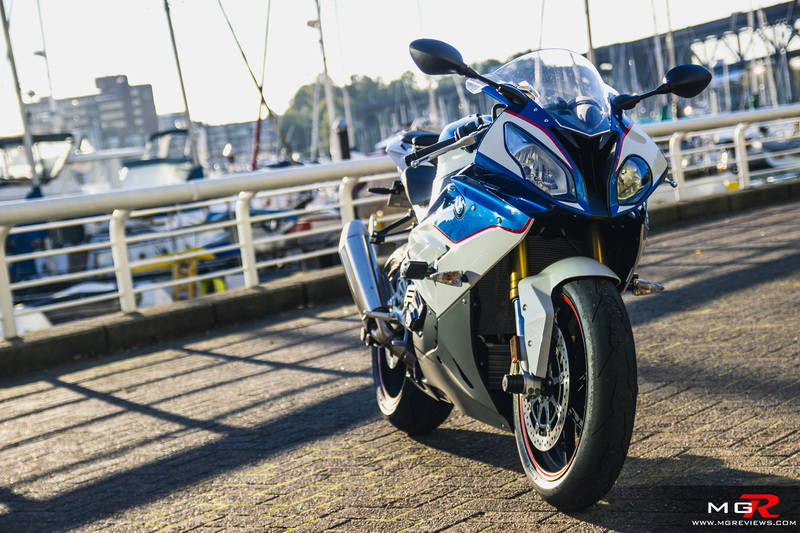 Performance – When the S1000RR was introduced in 2009, it immediately started winning racing championships. This was due to the phenomenal engine that was in between the legs of the riders. It is a 999cc inline-4 producing 199hp at the crank. For a motorcycle, 199 horsepower is a lot considering most economy cars and crossovers don’t have that much power under the hood. 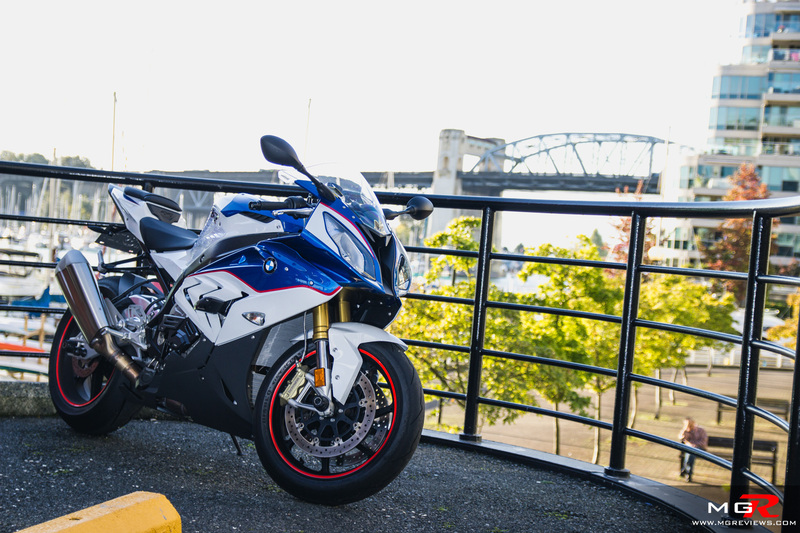 Economy vehicles also weigh quite a bit more than the S1000RR. At just 208 kg, the BMW can accelerate to 100 km/h in 3.0 seconds making it just as fast as a 650 horsepower Corvette Z06. 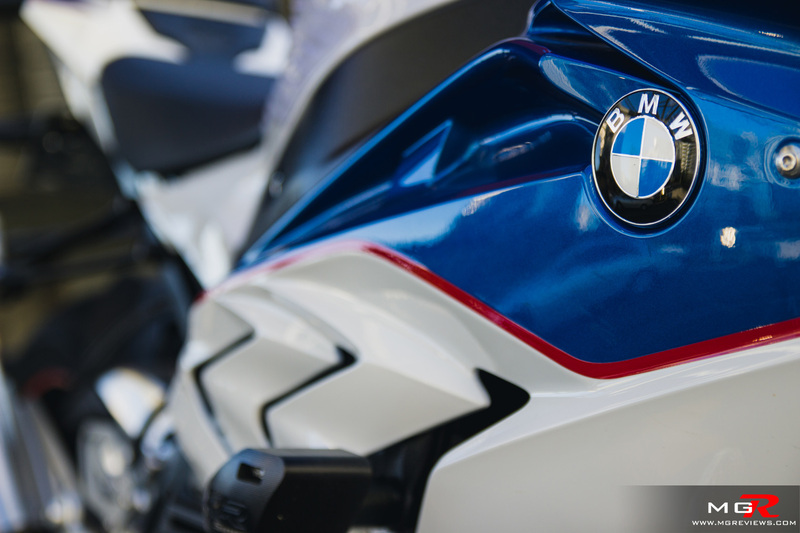 But it’s once it goes beyond 100 km/h that the BMW blurs the lines between how fast your brain can process information and what the bike can actually do. 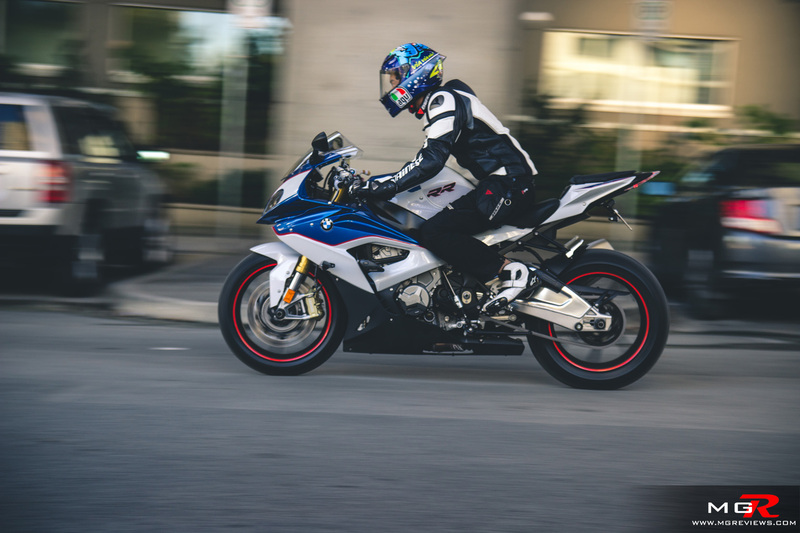 When the anti-wheelie control program isn’t slowing the bike down by preventing the front wheel from getting off the ground, the bike feels like it accelerates faster than a fighter jet. 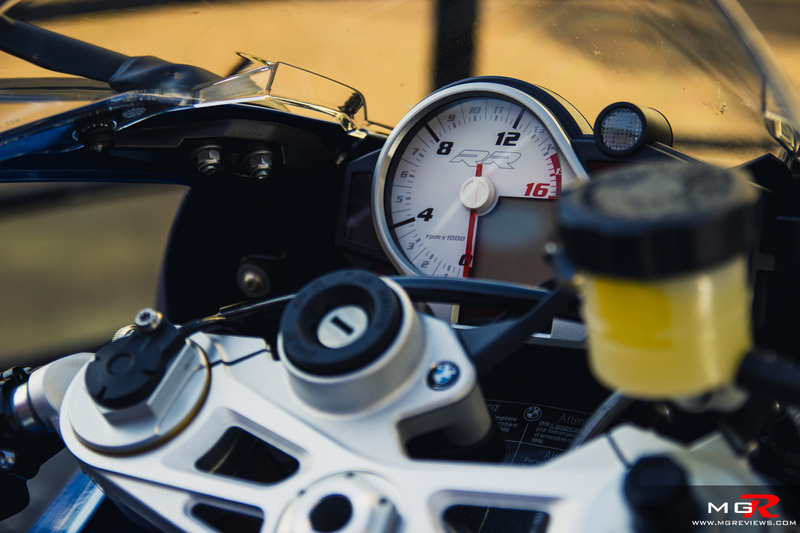 The smooth and linear torque band of the engine is felt throughout the RPM range but more so once the needle goes past 9,000 rpm all the way up to the 14,000 rpm redline. 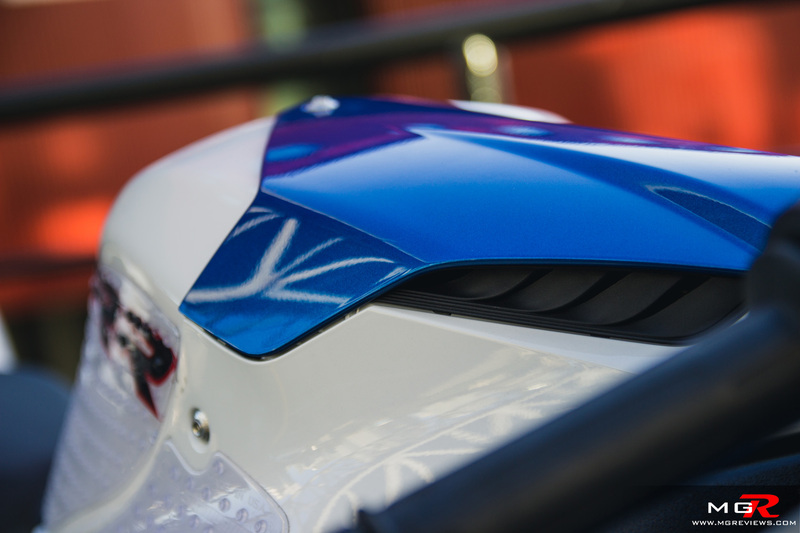 Comfort – When it comes to superbikes, they tend to be focused solely on racing. 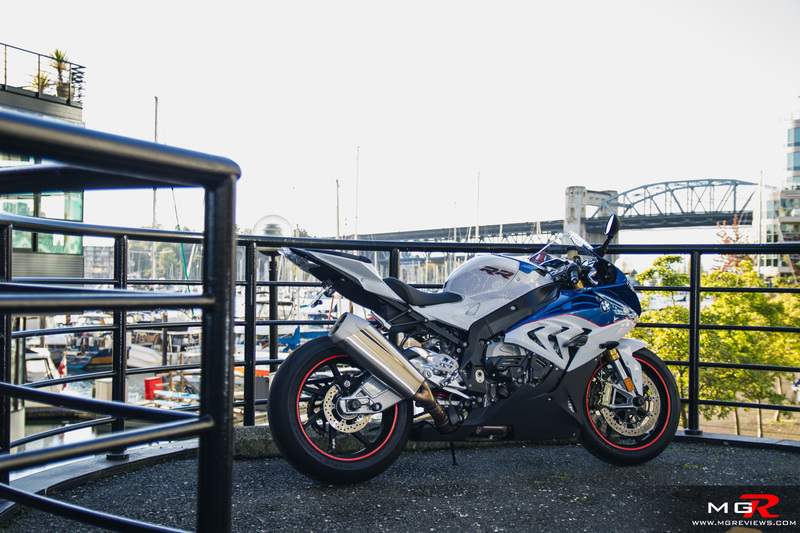 But in reality most buyers of these types of bikes only go to trackdays maybe twice a year and the rest of the time they ride on the streets and pose in front of coffee shops. Thus bikes like these tend to be very uncomfortable on city streets and on long rides. 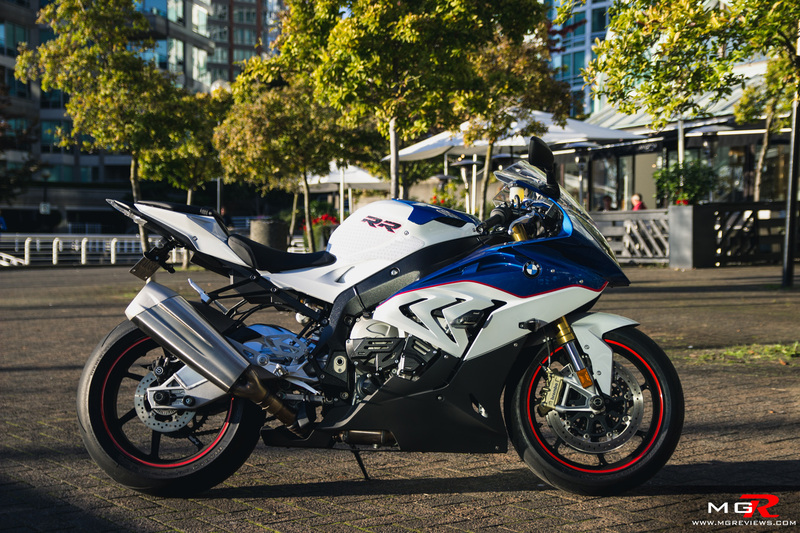 While the BMW S1000RR is not an ideal motorcycle for traveling on long distances, it is one of the more comfortable sportbikes on the road today. From the moment you sit on it, the riding position feels just right. It is comfortable enough to ride around a city for a few hours without breaking your back but also compact enough for the race track. 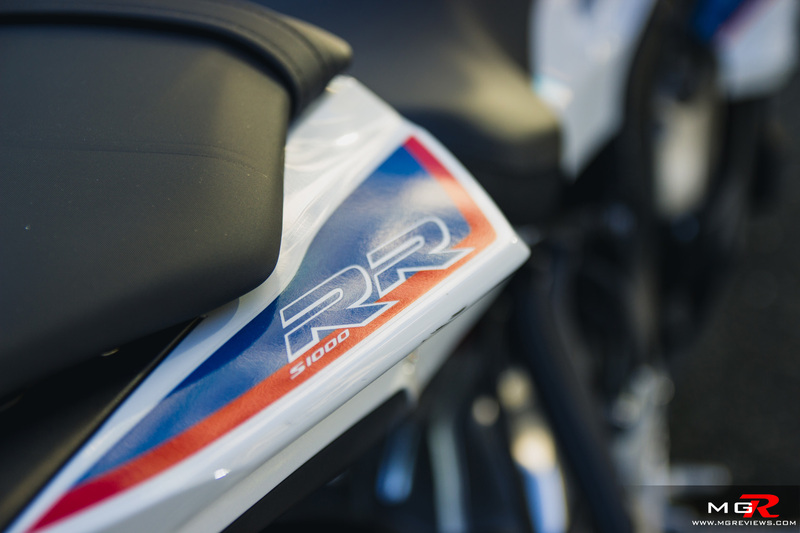 If you do opt for the Dynamic package which includes the Dynamic Damping Control suspension, you also receive heated grips. 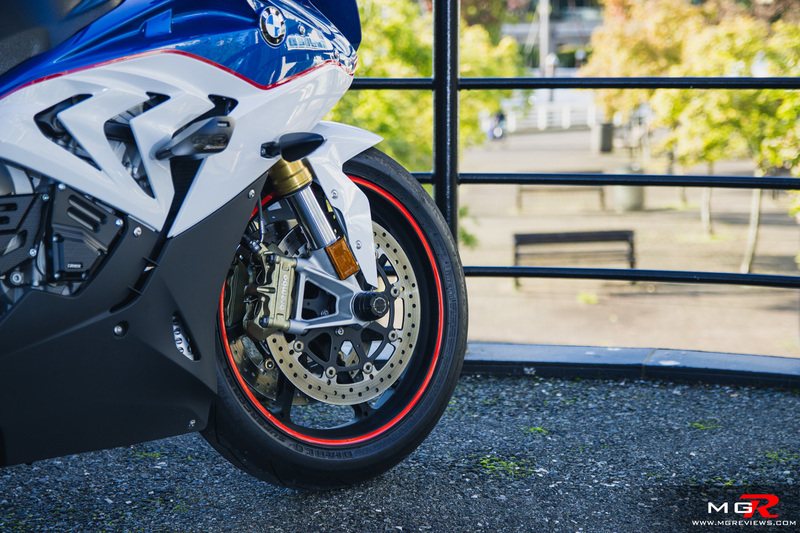 Usually the hands are first things that freeze on a rider’s body when riding on cold mornings or evenings and the heated grips are a very nice feature to have. As well as the standard cruise control feature for long road trips. 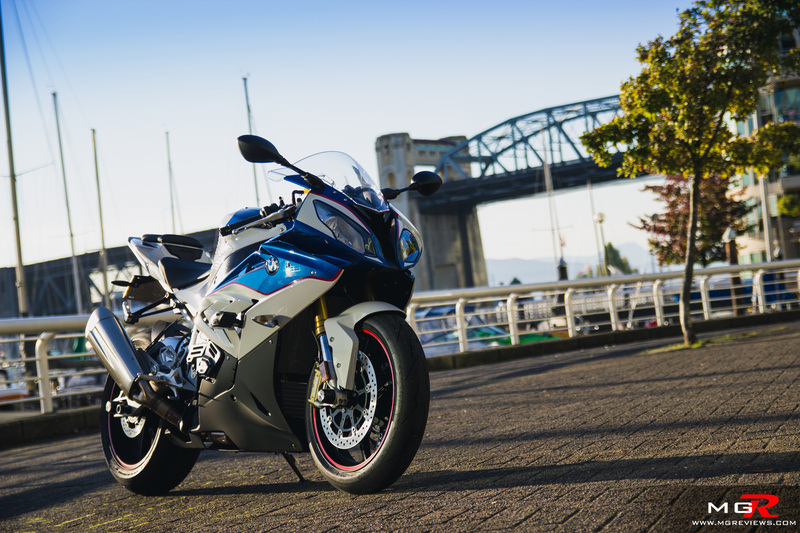 Odds and Ends – Everyone knows the saying “beauty is in the eye of the beholder”, but it still puzzles me how anyone could say that the BMW S1000RR is a beautiful bike. Apart from the Nissan Cube, I can’t think of any other vehicle in recent times that is purposely styled to be asymmetrical. The headlights are completely different and one side of the bike has shark fins while the other has a big gaping hole in the bodywork. Maybe I’m just not getting it and there’s nothing wrong with the styling of the bike. I’ve ridden numerous different types of motorcycles over the years. 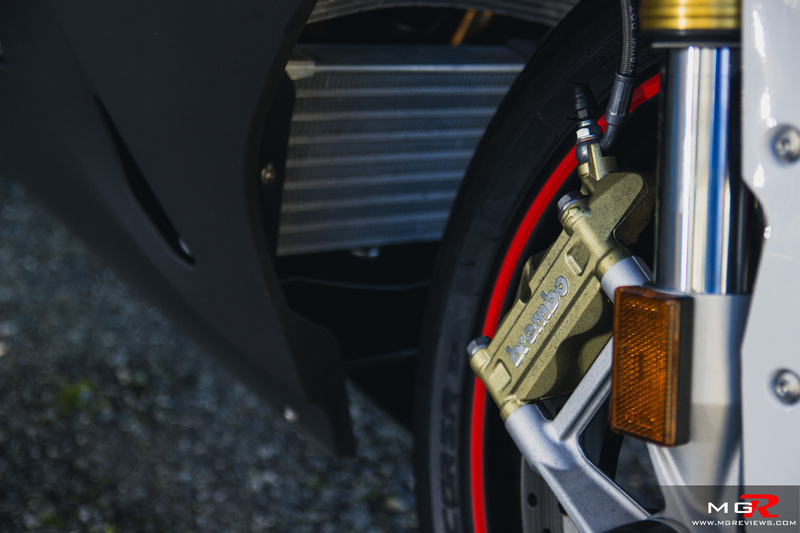 From beautiful Italians such as the Ducati 899 and Ducati Monster to crazy fast KTM Super Duke R and Triumph Daytona 675R. But it always took me a few minutes before I could feel comfortable to ride faster with those bikes. 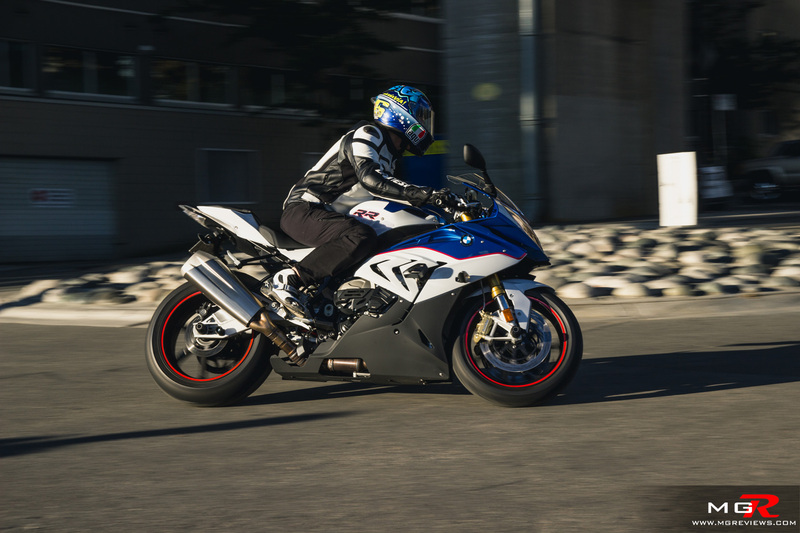 With the S1000RR on the other hand, I immediately felt comfortable the moment I hopped onto it. That’s the best feature of this motorcycle, it gives you the confidence to ride it hard even if it’s your first time on it. As I mentioned before, BMW vehicles don’t feel like “The Ultimate Driving Machines” anymore. 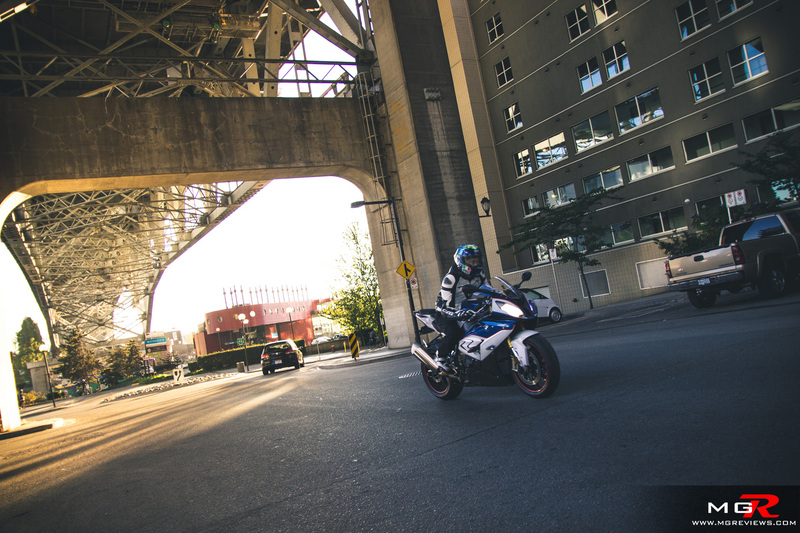 They’ve lost their way but BMW Motorrad feels like they’re hitting their golden era with the S1000RR. 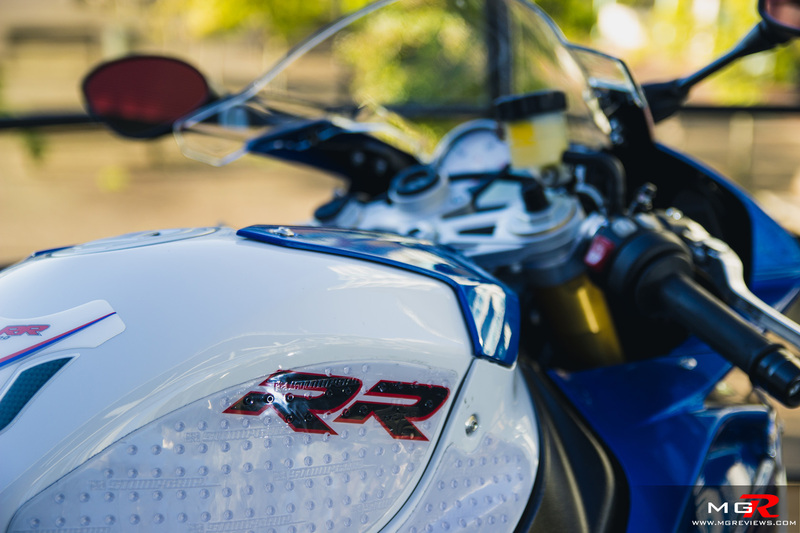 It is as close as you can get to a perfect superbike. Thank you to the owner for the opportunity to test ride and photograph it. This has to be a favorite article in regards to the RR.